Dragonfly is committed to providing yoga to anyone who seeks it, so we have created the Dragonfly Yoga Love program! 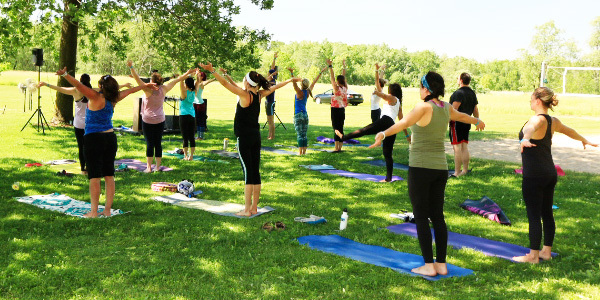 Each month, we will donate five 20 Class Passes to Dragonfliers who struggle to find the funds to attend, but love and benefit from a regular yoga practice. 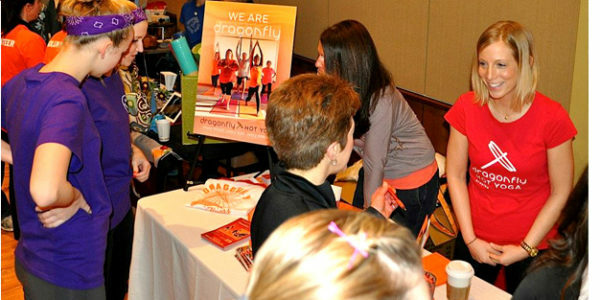 Dragonfly has happily donated thousands of yoga classes since we opened our doors. 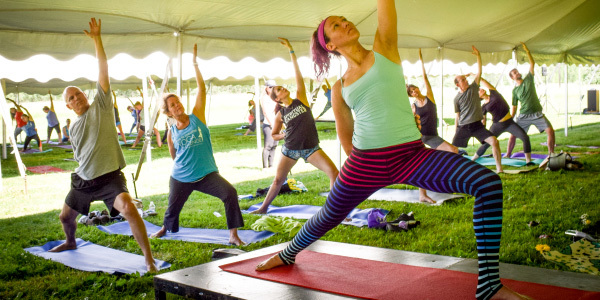 Our classes are happening no matter what, so let’s spread the yoga love! To apply, simply tell us how the Yoga Love program can help you and email your request a week before the first of the month to yogalove@dragonflyhotyoga.com. On the first of the month we donate a Yoga Love 20 Class Pass to five deserving yogis. You can receive one Yoga Love 20 Class Pass per year, and you have 3 months to use it. To be eligible you must have taken advantage of our Intro Offer or a past Groupon. 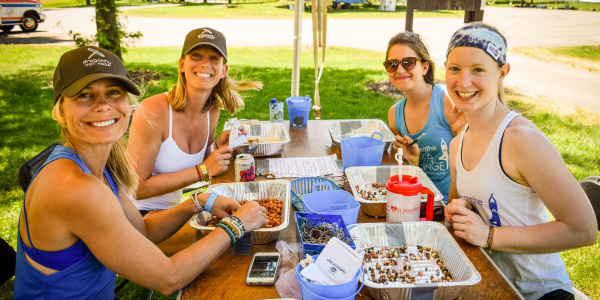 If you want to be a part of Dragonfly, we want you here radiating your amazing energy with the rest of our awesome members and staff! 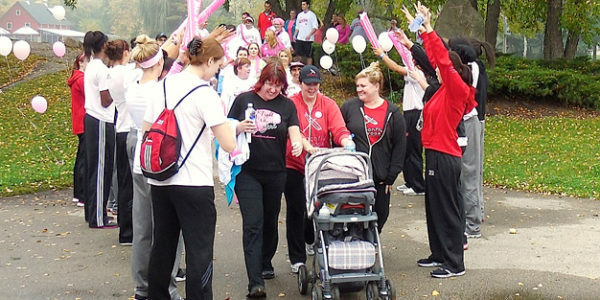 The Dragonfly community has donated over $23000 since 2011 to various charities! We are humbled and thankful to have such a generous group of yogis. Dragonfly Hot Yoga is committed to improving the communities we live in. 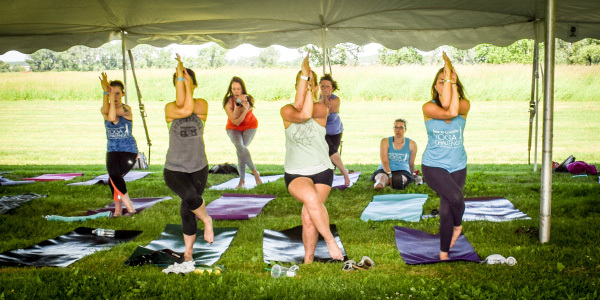 We strive to come together as a yoga community to help raise money and bring awareness to non-profits/events/fundraisers right here in Dane County. 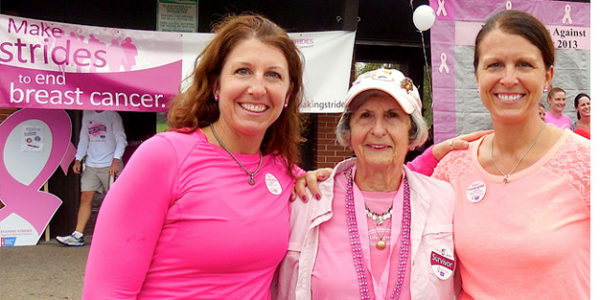 When owner, Megan Ryan, was working on her business plan in 2010, she included the Sweat For Change program, not knowing if it would ever come to fruition. As a child and to this day, her parents stressed the importance of giving back–even when money/funds are tight. Dragonfly is still a small and growing business, but we give back every chance we get and we are passionate about non-profits that are important to our clients. 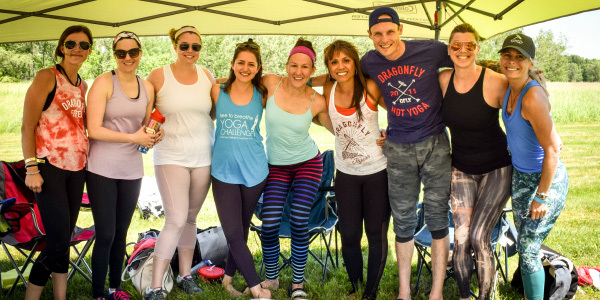 If you have an event that could benefit from a donation (especially yoga class passes) or any other Dragonfly services, please contact Dragonfly manager, Tola Neils at tola@dragonflyhotyoga.com.